Choline and inositol are both lipotropic agents that play an important role in fat metabolism in the liver and the emulsification of fats in the body. Choline is also a precursor of the neurotransmitter (brain chemical) acetylcholine, which is essential for normal brain activity. 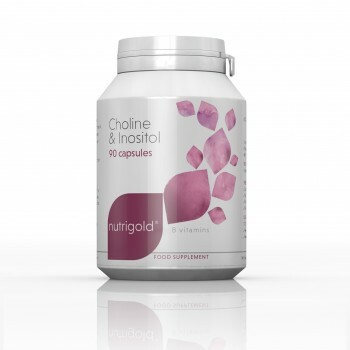 Choline & Inositol food supplement combines 250mg of each nutrient in a vegetarian and vegan capsule. Choline contributes to normal homocysteine metabolism, normal lipid metabolism and normal liver function. Hydroxypropyl Methyl Cellulose. Microcrystalline Cellulose, Silicon Dioxide, Magnesium Stearate. 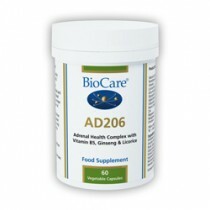 1-4 capsules after food or as directed by practitioner. Cautions:Do not take if pregnant or breastfeeding. Suggested combinations:Pro-otic®, Homocysteine Support Formula and OmegaSmart®, Antarctic Krill oil, EPA Marine Fish Oils or Golden Flaxseed Oil.